Featuring one of the most appreciated fine dining menus and offering a mesmerizing view of the Perth Hills wine region, the Darling Estate is an breathtaking setting for a wedding reception. Celebrating your Big Day within this magical scenery and a romantic candlelight ambience guarantees a memorable wedding celebration for both you and your guests. Why choose Darlington Estate for your wedding? The Darlington Estate Winery is one of the most popular wedding venues throughout Perth and its surrounding regions. 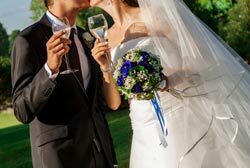 The estate has been the number one choice for couples who want a special location to celebrate their wedding ceremony. Special venue in this case entails an unforgettable mix of country charm, rustic features and vintage styling. It’s no wonder that the Darlington Estate has been the winner of TripAdvisor’s Certificate of Excellence for two years in a row. The restaurant of the winery was built in the middle of 40 acres of ancient bushland landscape overseeing the quaint hills villages. The scenery at Darlington Estate seems to be a captured moment in time. 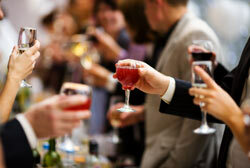 Given the venue, it is only natural that the restaurant provides personalized services. With Darlington Estate, you shouldn’t expect a ‘one-size-fits-all’ service, but rather a truly customized wedding, one that accounts for every little detail in order to make your ideal ceremony materialize. The wedding ceremony space available at the Darlington Estate is guaranteed to offer a complete wedding experience. The management is flexible and they are more than happy to negotiate the opening hours and menus prices with the happy couple. Depending on the number of guests you’re planning to invite to your wedding and the type of food you wish to serve, you will receive nothing less than impressive a la carter dishes made from the freshest locally produced ingredients. The restaurant specializes in both modern Australian and modern European menus, so rest assured you have plenty of options at your disposal. Although the Darlington Estate offers an out-of-this-world view, you will be happy to learn that it’s located just outside Perth, only 25 minutes from the CBD. The address of the estate is 1495 Nelson Rd, right at end of the motorway. While it is possible to get there with public transportation, keep in mind that this is your wedding. Therefore, to ensure the utmost comfort for your guests and stick to the wedding’s schedule, it would be wise to rent a coach. We can arrange transport for groups of any size to the Darlington Estate in Perth, please call or send us an email for more information.